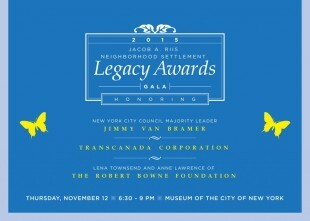 Jacob A. Riis Neighborhood Settlement of Long Island City and its Board of Directors are proud to announce details for the organization’s 2015 Legacy Awards Gala. The business attire event will honor the TransCanada Corporation, NYC Council Majority Leader Jimmy Van Bramer and Lena Townsend and Anne Lawrence of The Robert Bowne Foundation. The event is timed to coincide with the Museum of the City of New York’s exhibit Jacob A. Riis: Revealing New York’s Other Half, which features Riis’ photographs, personal correspondence and for the first time includes his papers from the Library of Congress. 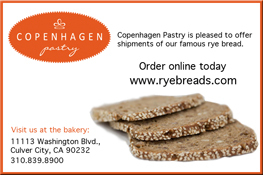 It is curated by Bonnie Yochelson, who will conduct a private tour during the event. The gala is Riis Settlement’s primary fundraiser for the year and will take place on November 12, 2015 at 6:30 PM at the Museum of the City of New York, 1220 Fifth Avenue (103rd Street), across from the Conservatory Garden of Central Park. While raising much needed funds for its programs, this event celebrates Riis Settlement’s over 125- year record of providing quality assistance to low-income New Yorkers, and particularly its last 64 years of service to greater Western Queens. It also highlights organizations and individuals who have made meaningful contributions to Riis Settlement and those it serves. Jacob A. Riis Neighborhood Settlement is located at 10-25 41st Avenue, Long Island City, NY 11101.